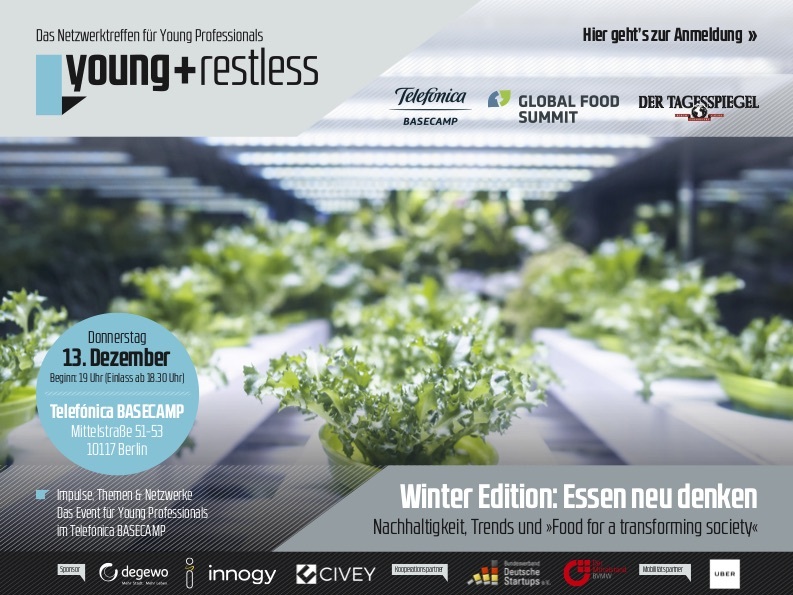 ab 18:30 Uhr Berlin The Global Food Summit invites to the Telefónica Basecamp event "Rethink Food", taking place December 13, 2018 at 06:30 pm in Berlin. An exciting kick off of the Global Food Summit in March. Click here to sign on! Jan Wimmel, Ubermetrics, Berlin, topic: "Social Food – How digital communication challanges the food industry"